Lois Mae Kurr, daughter of Paul Randolph Henry and Fern Beatrice Henry, passed from her earthly life on Palm Sunday, March 25th, 2018 in Newton, Kansas. She was born on March 5th 1933 in Sedgwick KS, and had recently celebrated her 85th birthday with family at Asbury Park. Lois attended school in Sedgwick and graduated from Sedgwick High School in 1951. On May 26, 1951, she married Wilbur (Bill) Kurr and they began building their family and farm/cattle business over the next 60 years in Harvey County. 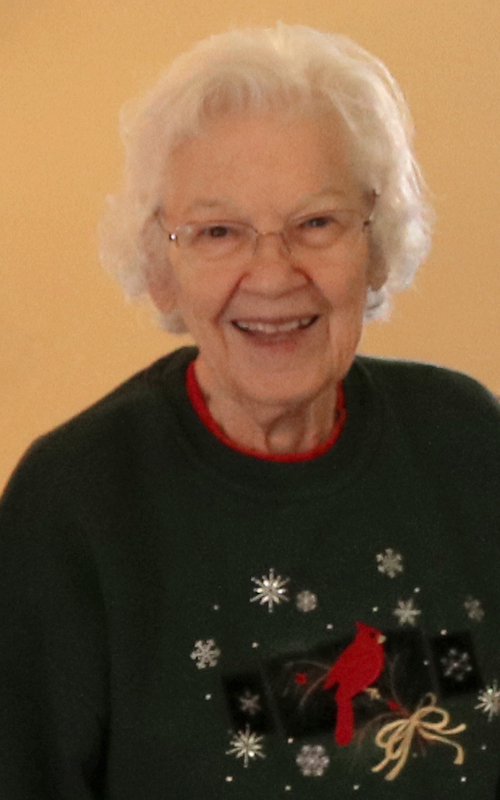 Lois served as office manager and bookkeeper for the operation. She is survived by her children: Donna Fleetwood of Mechanicsburg, PA; Robert (Bob) Kurr of Sedgwick; Darla and Phil Osborn of Wichita; her grandchildren: Rachael (Osborn) and Zach Sachs of Pittsburg, KS; Lauren Osborn of Seattle, WA; one sibling: Paul Henry of Moorehead MN; a sister-in-law Ruby Kurr; and many nieces and nephews. Lois was predeceased by her husband Wilbur ( Bill) Kurr and granddaughter Katie Osborn. Lois was the church organist at First Baptist Church in Newton for many years and also enjoyed playing the piano. She was a member of Harvey County Rural Life, a former member of Sweet Adelines, and Harvey County 4-H. Lois was an accomplished seamstress who sewed clothes, including wedding dresses for her two daughters. Funeral services will be at 2:00 p.m., Friday, March 30, 2018 at the First Baptist Church in Newton, with Pastor Chip Bungard presiding. Visitation will be 5 p.m. to 9 p.m. Thursday at Petersen Funeral Home and 12 Noon to Service time Friday at First Baptist Church where the family will greet friends prior to the service in fellowship hall. Burial will follow in the Hillside Cemetery Sedgwick, Kansas. A memorial has been set up for First Baptist Church and Good Shepherd Hospice in care of Petersen Funeral Home, 215 N. Main St., Newton, KS 67114. My deepest sympathy to Donna Fleetwood, a friend who I got to know from her time in Rhode Island and the family of Lois Kurr. Once again, Donna, I am so very sorry. Losing a Mother is so hard. Thinking of you…you’re in my thoughts and heart., Kate. So sorry to hear of Lois’s passing. You are all in my thoughts and prayers. May memories comfort you. Love and sympathy to the family. Praying for you all in the loss of your mom. She was always full of life. Although we will not be able to attend the funeral, we will be thinking of you. We will sure miss Lois at Reffner reunions. I always enjoyed chatting with her about Sedgwick, music & loved her smile! Praying for you all.